To apply online passport renewal pakistan you need to make sure you have all supporting documents and printer / scanner if you have these things then you can apply online passport application pakistan. 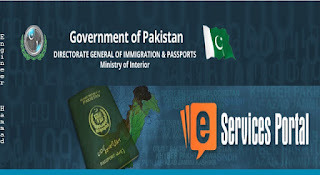 The web service gateway is the main step of the general board of directors of passport and immigration to provide Pakistani citizens the online service around the world. 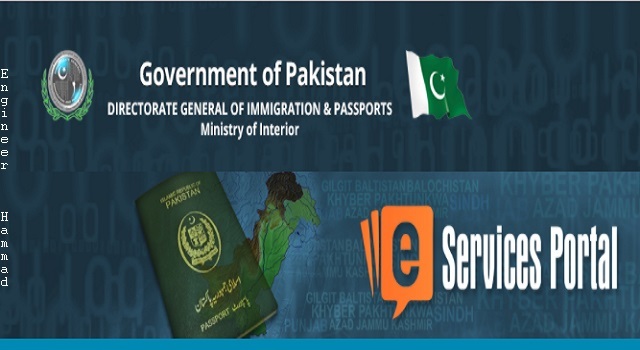 Pakistani citizens can use the e-service portal in order to apply for online passport application process or renewal of their machine-readable passports from anywhere in the world, if it has been expired or it’s going to within 7 months. NADRA has been developing its online passport renewal pakistan system for quite some time now and that it’s almost done, we can have a look that how it’s going to work after its launch. The director general of immigration and passports plus NADRA have cooperated to offer the citizens of Pakistan a service that they needed really bad. Now citizens will be able to renew passports online without the trouble of traveling to the passport office and waiting in the long cue for several hours. This service will facilitate all the Pakistani nationals either they live in Pakistan or they live abroad. Currently, the service is not available immediately to be used but soon after its launch people will be able to get the benefit of this service. So anyone who has an expired passport can apply for a new passport and the new passport will be delivered to the provided postal address. To apply online for passport renewal you need to make sure that you have all of your supporting documents with you and printer/ scanner. For instance, you will need a printer to get some documents of your fingerprints and a scanner too because you will have to submit some of the documents copies in scanned form. A credit/debit card to pay for the renewal of your passport fee. When you are ready than you will go to this URL: https://onlinemrp.nadra.gov.pk/e-passport in order to start filling the passport renewal application. Now after the submission of your application the passport office and NADRA will do their end of the job and deliver your passport to your doorstep. On the other hand, the delivery of passport will vary on the basis of each case that depends upon numerous factors. Whereas, the passport office and NADRA aims to deliver passports within the deadlines of 10 working days normally and 4 working days for the urgent passport. All these charges include a service fee of Rs.2, 500/-. For delivery within Pakistan delivery charges will be Rs.250/- and for delivery outside Pakistan delivery charges will be Rs.1, 000/-. And for the delivery location at passport office including foreign missions delivery will be provided free of cost. Countries that require no visa for pakistani passport. How to get online token for Passport in Saudi Arabia. How to create new account on Pakistani embassy website in KSA. We only apply for renew of passport,we cannot apply for passport of new born baby by online.??? ?